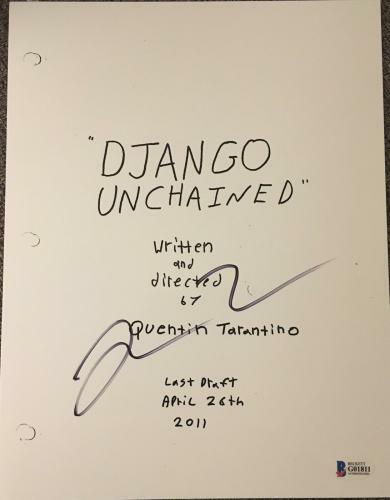 Few filmmakers are held in higher regard than the great Quentin Tarantino. 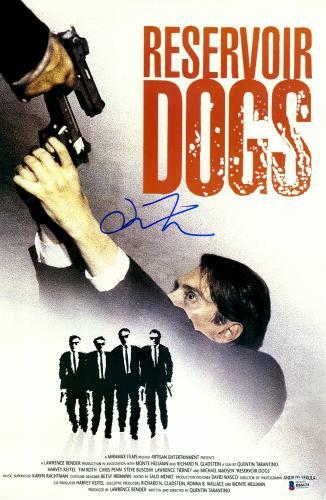 Getting his start as an independent filmmaker in 1992, Tarantino’s Reservoir Dogs was so well received that Empire magazine called it the “Greatest Independent Film of All Time”. 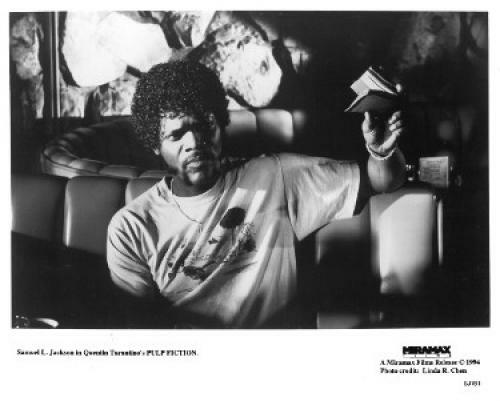 Following up the success of that movie, Tarantino would go on to make Pulp Fiction two years later. 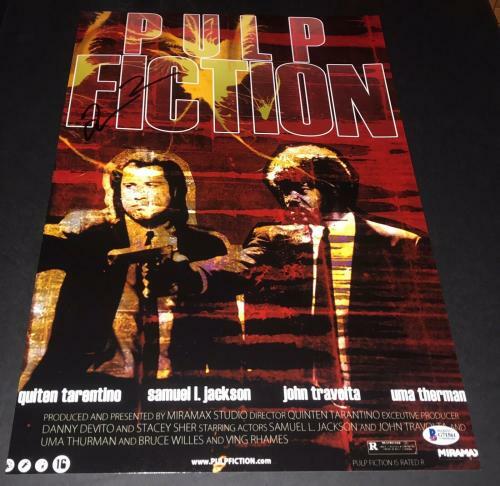 Pulp Fiction ended up becoming one of the greatest works in modern cinema, Entertainment Weekly called it the best movie made in the years 1983 through 2008. 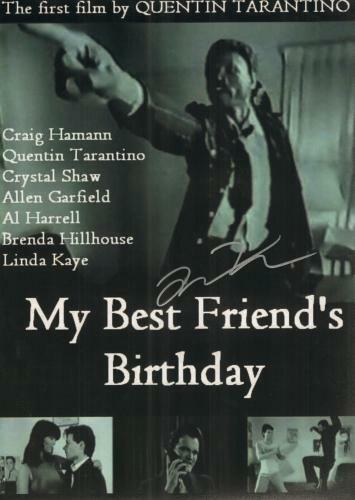 One of the best things about Tarantino is he is very selective in the projects he pursues and only makes the movies he is passionate about. 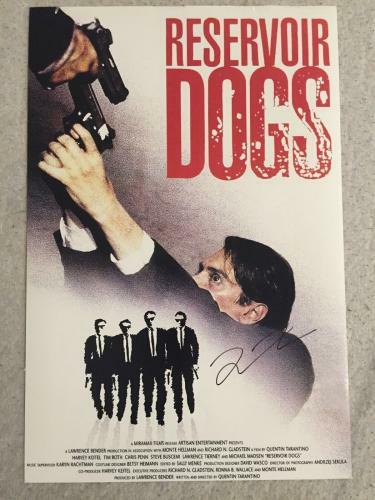 This has lead to nothing but stellar results for the filmmaker. 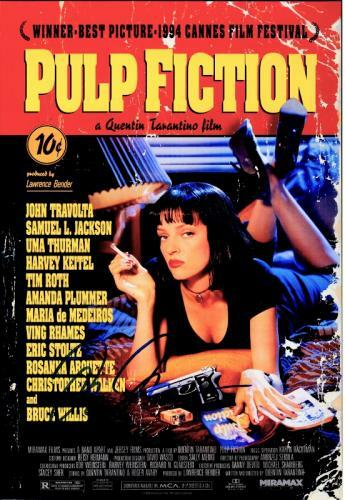 Other great movies of note that Tarantino made include Kill Bill, Inglorious Basterds, and Django Unchained. 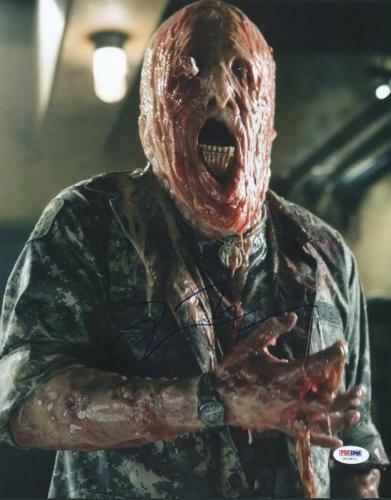 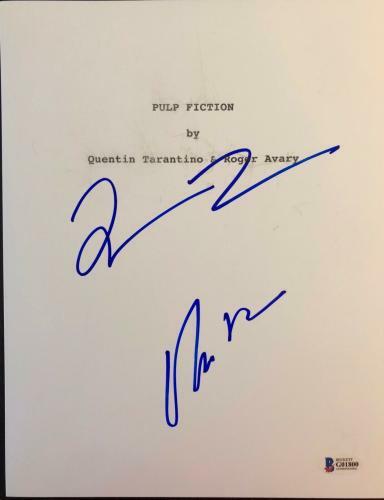 Quentin has won two Academy Awards and two Golden Globes for his screenplays of Pulp Fiction and Django Unchained. 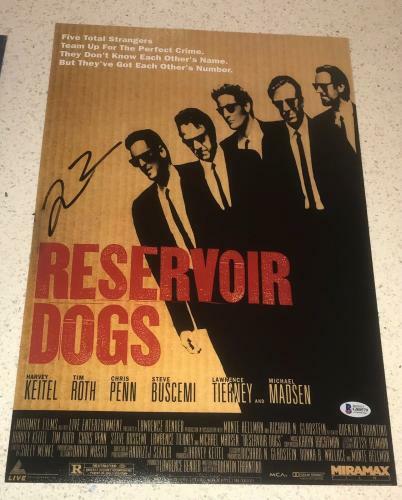 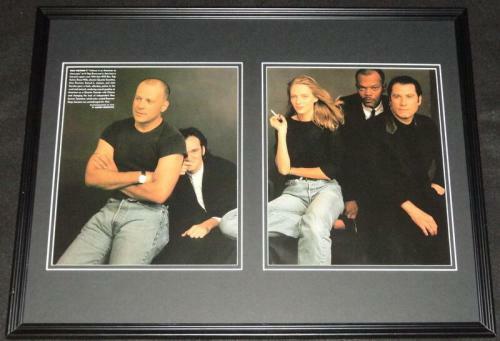 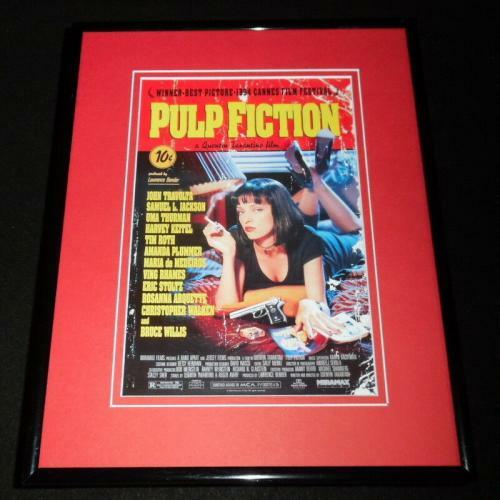 When you buy our Quentin Tarantino memorabilia, you are getting a piece of cinematic history. 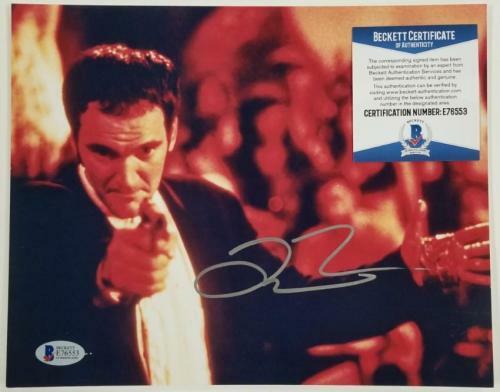 These collectibles are rare and certified authentic making them a quality investment that is sure to increase in value. 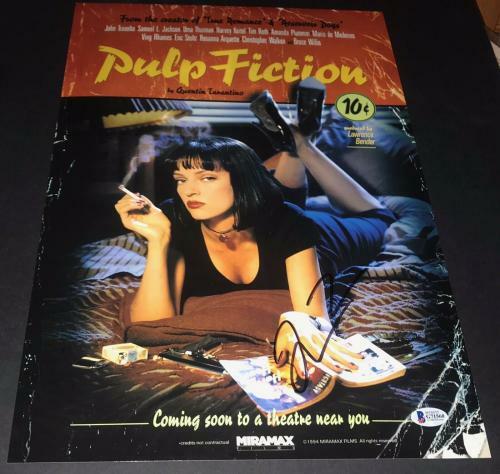 The items that we have available are unique and cannot be found in many places. 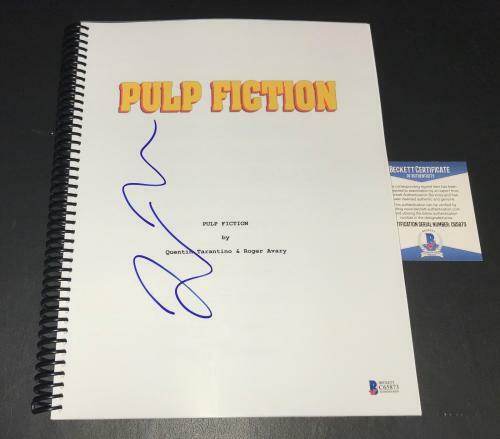 These memorabilia will look great on display in your home and celebrate the legacy of a living legend in the film industry. 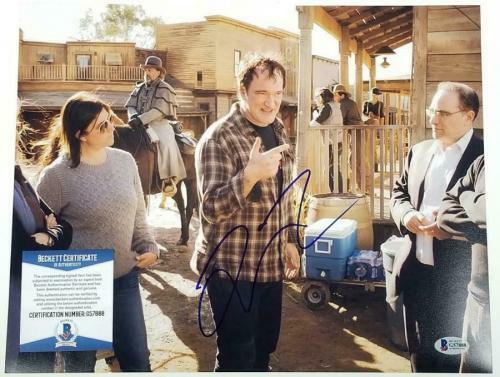 Quentin Tarantino Autographed Photos: The photos that we have of Quentin Tarantino are one of a kind as they show the brilliant filmmaker on the sets of some the most widely remembered movies of the last couple decades. 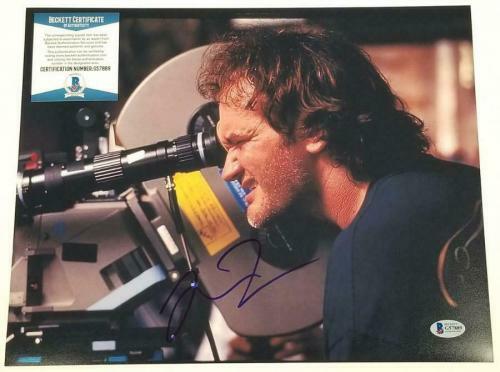 These autographed photos are an incredible value and come with a guarantee of authenticity. 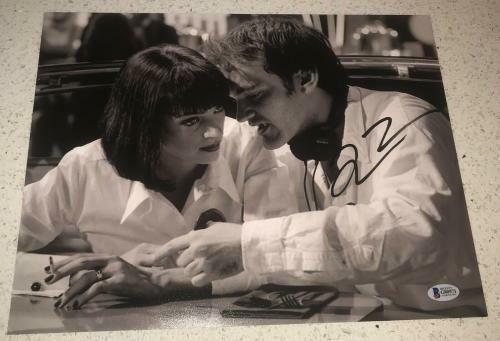 Whether it is behind the camera on the set of Death Proof, acting in Reservoir Dogs or holding his Oscar, these photos show Tarantino and the many talents that have made him a pioneer in this industry. 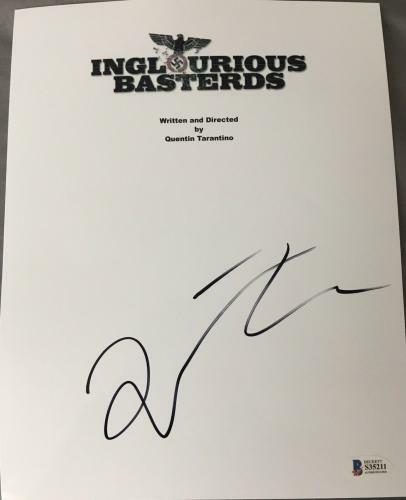 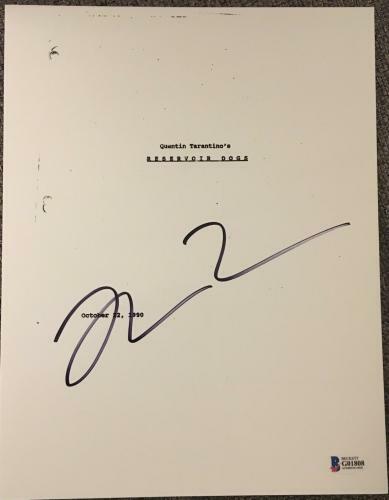 Quentin Tarantino Autographed Movie Scripts: One of Quentin Tarantino’s greatest strengths as a filmmaker is in the writing of his scripts. 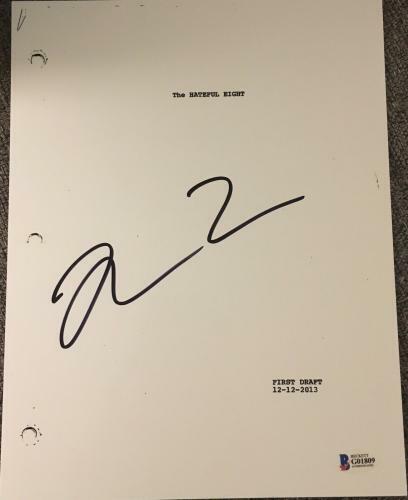 We are now giving you the rare chance to get a behind the scenes look into your favorite movie by offering you the ability to get the scripts of those films. 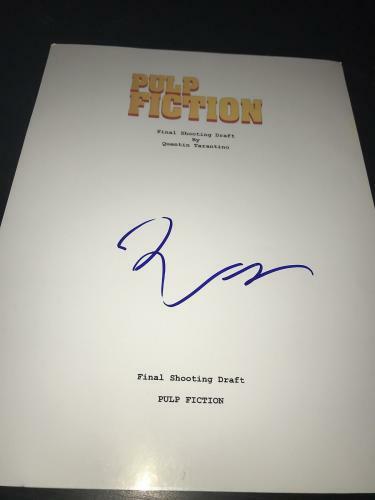 These scripts all come signed by Tarantino and come with a certificate of authenticity. 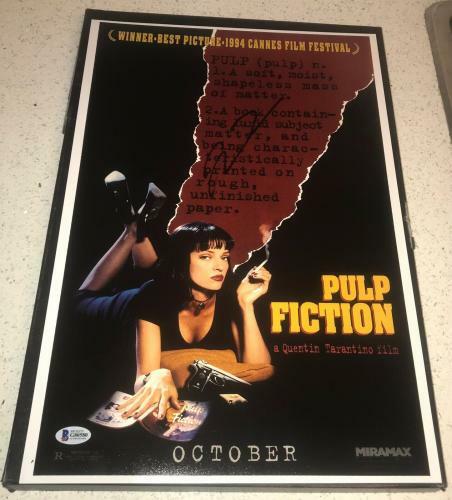 It is a unique way for fans of Tarantino’s work to get a better understanding of how he can turn words on a page, into visual works of art on the big screen.